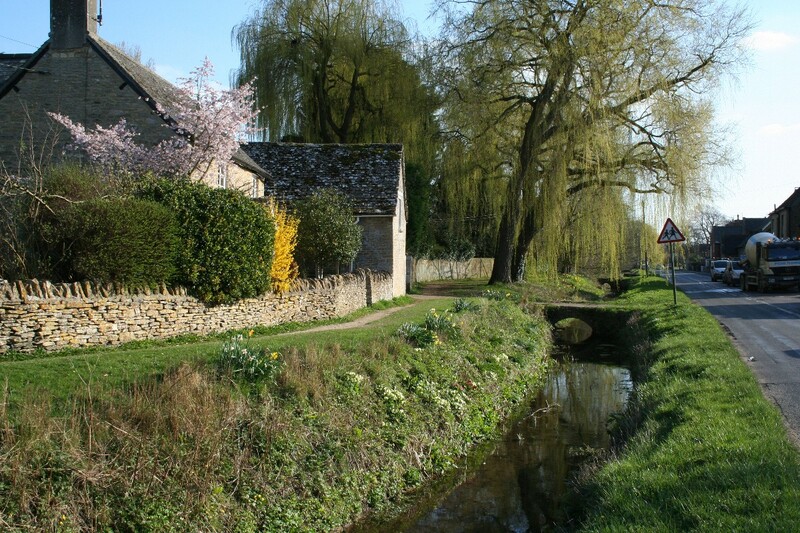 The villages listed here are amongst the most attractive in West Oxfordshire or they have interesting features worth visiting. Either way, a visit to them could be really worthwhile. Bladon is now famous for the grave of Sir Winston Churchill in the graveyard of St. Martin's Church where, in 1965, he was buried at the head of the grave of Lady Randolph Churchill, his mother, and alongside the grave of his father, Lord Randolph Churchill. The original village was probably originally centred around St. Martin's Church which overlooks the village on the higher ground. Here on the hillside there are some narrow streets with small cottages and terraces, and the old village shop. Bladon is on the edge of Blenheim Park just south of Woodstock and spreads out along the A4095 and up the side of the hill on the south of the main road. 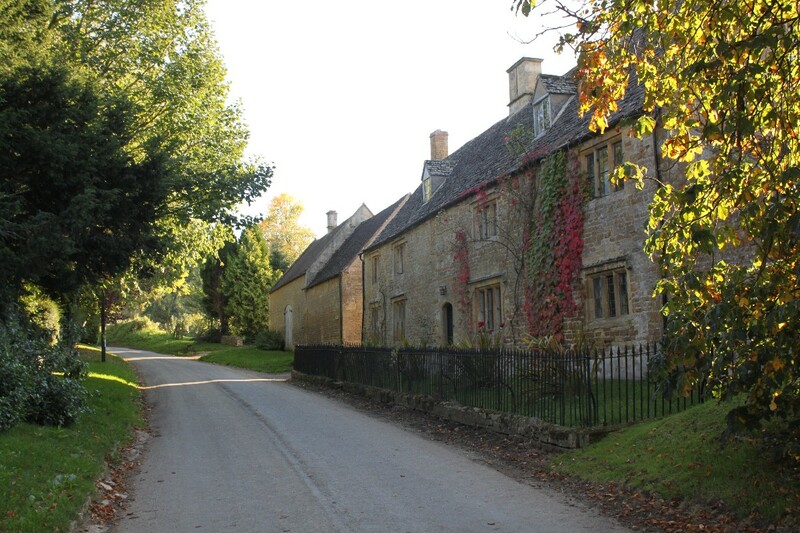 To most people, if they have heard of Chastleton at all, the name probably means little more than the superb Jacobean house owned by the National Trust, but behind the house is a quiet little Cotswold village comprising a couple of farms and a few cottages and little more. Chastleton House is one of the finest Jacobean mansions in the country and attracts many visitors each year. 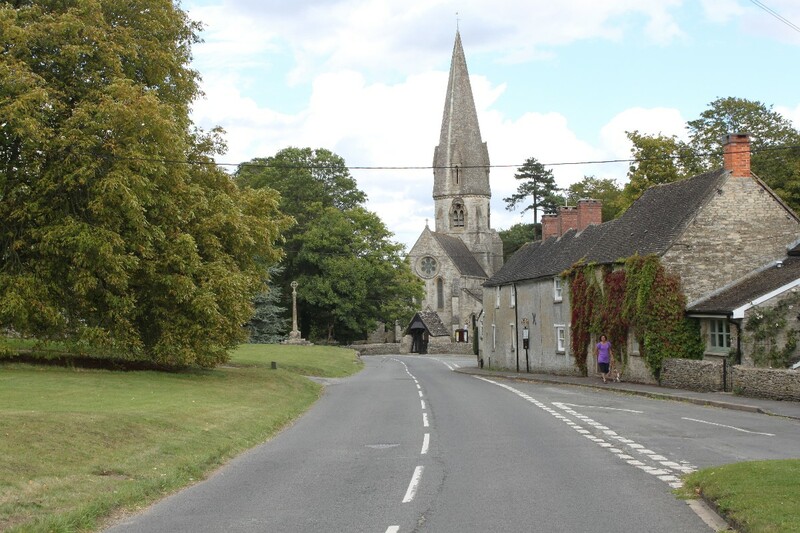 Chastleton is on a spur of Oxfordshire, with Gloucestershire on one side of it and Warwickshire on the other, and is just off the A44 approximately half way between Chipping Norton and Moreton-in-Marsh. Churchill is a pleasantly attractive village that is well worth a visit as it has some impressive and quite unusual features. The most impressive is without the doubt the imposing 19th century All Saints Church which dominates the village. The tower of All Saints is a two-thirds copy of the tower of Magdalen College, Oxford. Its hammerbeam roof is a copy of the roof of Christ Church, Oxford. Its buttresses are versions of those of the chapel of New College, Oxford, and its windows are based on those from various Oxford Colleges. Next to the church is a grand memorial fountain, erected in 1870 by Julia, Countess of Ducie, to her father, James Haughton Langston. Nearby is the Smith Memorial, a memorial to William Smith, Father of British Geology who was born in Churchill in 1769. One of his many achievements was the publication of the first geological map of the whole country. At the bottom of Hastings Hill is the Churchill and Sarsden Heritage Centre housed in the chancel of the original 14th century parish church. This is where the original village was, but in 1684 it was burned down by a fire which destroyed 20 houses and many other buildings. A number of mounds in the nearby field marks where some of the original buildings were. When the village was rebuilt it was built on top of the hill. Churchill is on the B4450 about 3 miles south-west of Chipping Norton. Clanfield is a very pretty village, particularly so on a Spring day when the pretty clumps of daffodils bring a cheerful touch of colour to the grassy verges and gardens. A stream runs through the village beside the road, spanned in places by stone bridges. Next to the Radcot road there is a path which runs along beside the stream passing in places under weeping willow trees as it links the two small village greens. 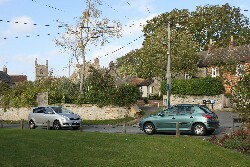 One of the small greens is in the centre of the village at the road junction, where there are also two inns. Nearby is the Norman parish church, St. Stephen's, which dates from about 1200, and the bell tower from the early 14th century. 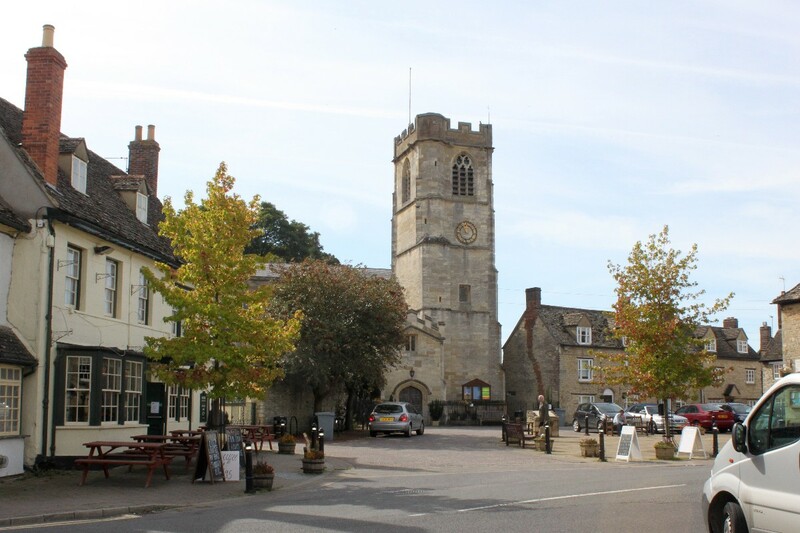 Clanfield is about 3 miles south of the town of Carterton and about 2.5 miles west of the village of Bampton on the A4095 Faringdon to Witney road. Eynsham could easily be a small town with its High Street, "town" square, shops, narrow streets lined with old houses and its modern residential areas and schools, but Eynsham is in fact a large bustling village with a pleasant centre and grey stone cottages and other buildings. The parish church is to one side of The Square which, together with High Street, is on the southern side of the village. 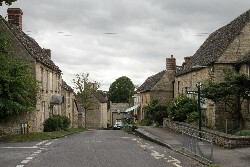 The older and more attractive part of the village is around The Square and High Street, Church Street and Acre end Street. In The Square ouside the historic Bartholomew Room is a reconstruction of the original cross which dated from around 1350. There is some evidence that Eynsham had an early minster, probably founded in the 7th or 8th centuries. A Benedictine abbey was later constructed on the site of the early minster and by the medieval period Eynsham Abbey was one of the largest in the area. It was dissolved at the Reformation in 1538 and only a few remains are still visible. Eynsham is about 5 miles east of Witney immediately south of, and bypassed by, the A40 trunk road. Finstock is a village of attractive stone walled and stone roofed cottages, which are typical of the East Cotswolds area, on the edge of the remnants of the ancient Wychwood Forest. Much of the village is away from the main road and a lot of the older property is in High Street which runs down the valley of a now culverted stream to an attractive hollow where there is the sole remaining village pub. Finstock is about 2 miles south of Charlbury on the B4022 Witney to Charlbury road. 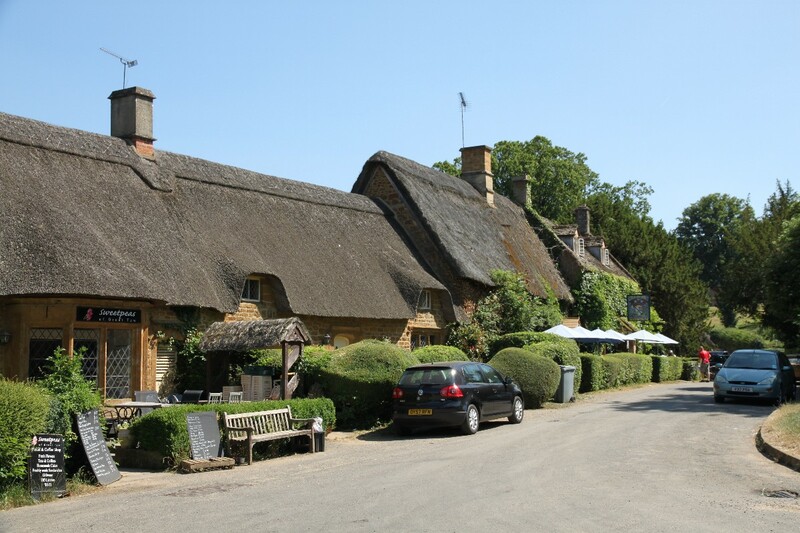 Great Tew is a well-known little picture-postcard village which is full of attractive honey-coloured ironstone cottages, most of them thatched, in a landscaped setting and is well worth a visit. 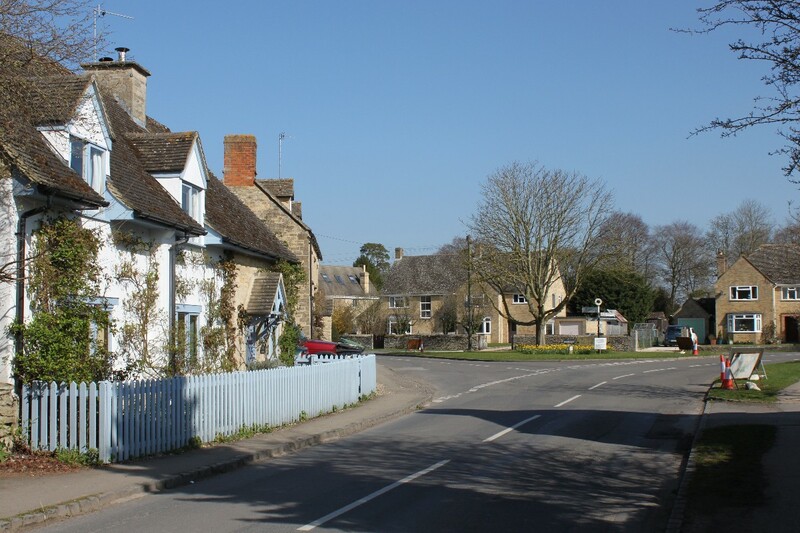 The village belongs to the Great Tew Estate which in the last 50 years or so has rescued it from dereliction and decay so that now it's a delight to see. Great Tew is 4 to 5 miles north-east of the town of Chipping Norton. Kelmscott is a small very rural village which is in fact the only true Thames-side village in West Oxfordshire. Kelmscott Manor is a Thames-side Grade 1 listed farmhouse dating from around 1600. It was enlarged later in the 17th century but since then it has remained virtually unaltered. It was the summer home of William Morris from 1871 to 1896. The house contains an outstanding collection of the possessions and works of Morris, his family and associates including furniture, original textiles, pictures, carpets, ceramics and metalwork. The building itself is unusual in that none of the external walls are truly vertical, and water chutes are necessary to throw rainwater from the roof away from the face of the walls. Kelmscott is in the extreme south-west of the district, very close to the Gloucestershire border about 2 miles east of Letchlade-on-Thames. 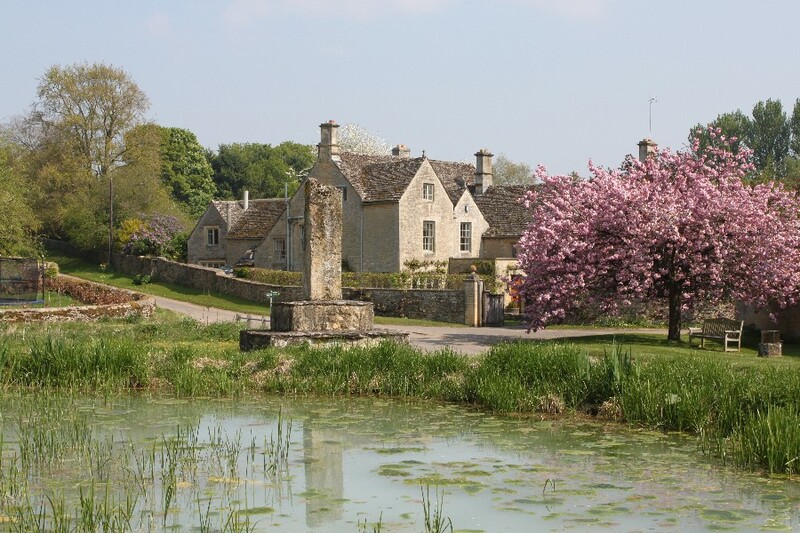 There is no through route through the village, which makes it very quiet, that is if you ignore the tourist traffic and other visitors to Kelmscott Manor. Kingham is a pleasant Cotswolds village in the heart of the Evenlode valley which, in 2004, a Country Life panel judged to be "England's Favourite Village". 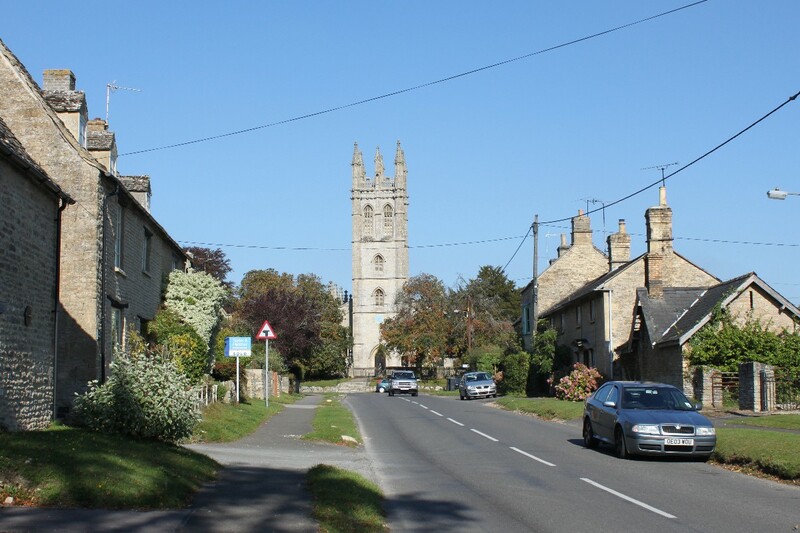 Not only that but, after assessing more than 100 popular villages, the Daily Telegraph decided that Kingham topped the list as the best village of them all! So the village must be worth a visit. 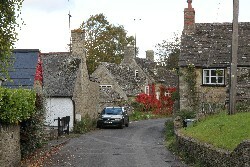 The main road through the village, Church Street, has an attractive mix of houses and cottages, a village shop and a couple of pubs. At the north end of the village is a large green surrounded by stone & thatched cottages and at the other end is the village church, St. Andrew's. Kingham is about 4 miles south-west of Chipping Norton, and a short distance from Oxfordshire's border with Gloucestershire. 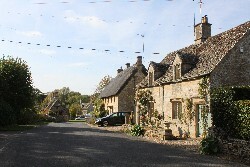 Much of the hill-top village of Leafield is spread around a large village green at the western end of the village, and really the village green dominates the village. Until the mid-19th century Leafield was surrounded by the Wychwood Forest. Now the village is surrounded by a patchwork of fields although a small area of forest still exists at nearby Cornbury Park. Leafield is midway between the valleys of the Rivers Windrush and Evenlode, about 4 miles north-west of Witney. 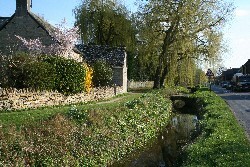 Minster Lovell is village of two halves either side of the River Windrush and the main road. 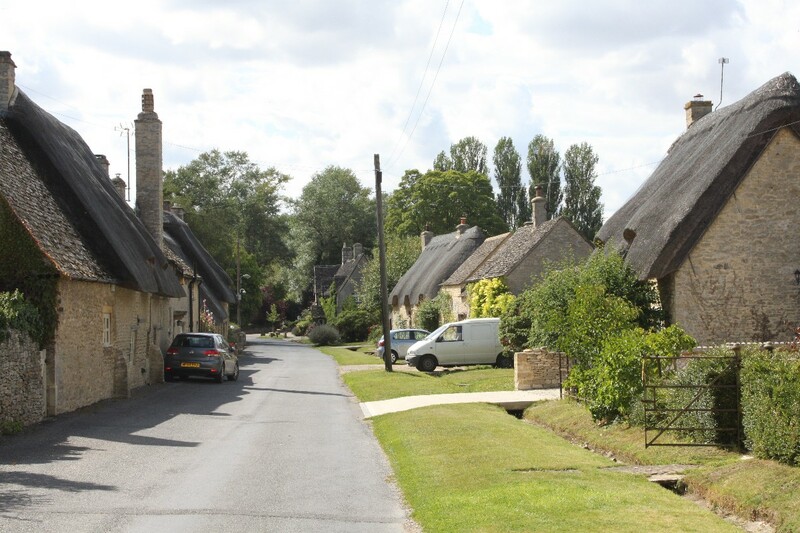 New Minster is mainly a residential area on the south side of the river and main road, whereas in attractive Old Minster little cottages with thatched or Cotswold stone roofs line the road. At the east end of Old Minster is St. Kenelm's Church which was constructed in 1450 on the site of an earlier 12th century church. Saint Kenelm was a Saxon prince, and the name "Minster" in the name of the village suggests that the village may have had a Saxon minster. The suffix "Lovell" was added to the name from the 13th century when a William Lovel held land here. Next to the Church are the extensive ruins of Minster Lovell Hall, a 15th century manor house once belonging to William Lovel's descendant, Lord Lovell. Nearby, behind Manor Farm, is a medieval dovecote. 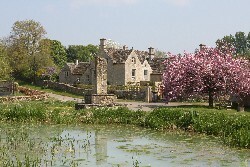 Minster Lovell is a couple of miles west of Witney on the B4047. 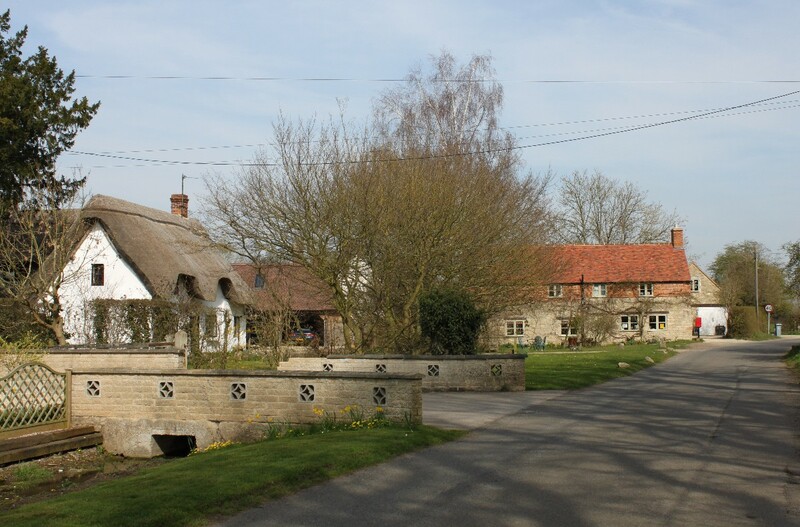 If you are looking for an attractive, peaceful village then look no further than the village of Northmoor. It is a small quiet village approached by single track lanes from both directions and is on the route to nowhere so you would really only see the village if you had reason to go there. 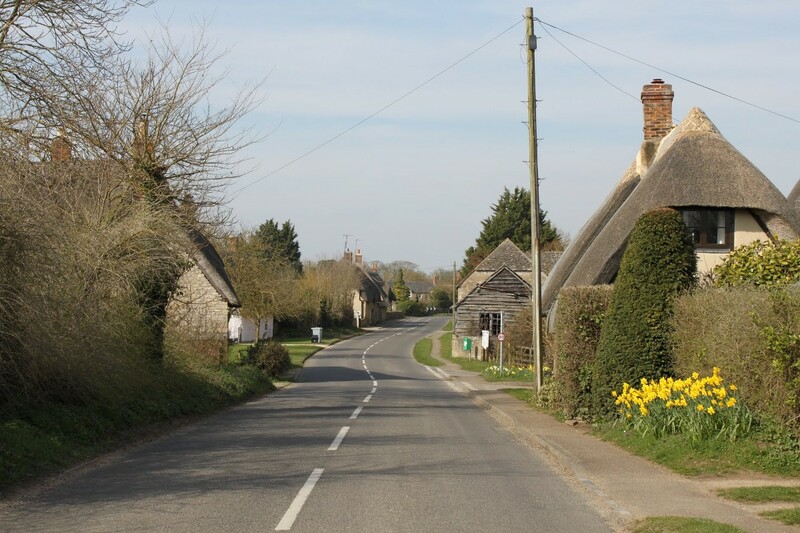 But if you do go to Northmoor you are rewarded by an extremely attractive little village with grassy verges and, in the Springtime, pretty daffodils. Northmoor is about 6 miles west of Oxford and almost 6 miles south-east of Witney. The village is within a large bend in the River Thames, about a mile away to the south and east, and the River Windrush is about a mile to the west. Shilton is an attractive little village with stone cottages with stone roofs in the Cotswold style. In the centre of the village there is a ford across the Shill Brook and the stream forms an attractive rush-lined duck pond. An arched stone foot-bridge crosses the ford and near the pond is an old pump and a well. Shilton is about a mile and a half north-west of Carterton, just off the B4020. Situated in a quiet lane the tiny village of South Leigh is a must-visit place because of its two unexpected attractions. The first of these is the 12th century Church of St. James the Great which is at the end of a short lane at an attractive part of the village known as Church End. When renovations were carried out in the 19th century extensive wall paintings were discovered. They include a Doom painting over the chancel arch, the seven deadly sins, St. Michael weighing souls, the Virgin Mary (originally part of an Annunciation scene) and a rare painting of St. Clement. At that time the paintings were heavily restored and the weighing of souls was redrawn at twice its original size. The second is Gerry Stonhill's The Masons Arms pub, a privately owned and personally run 15th Century thatched inn. It looks like an ordinary village pub until you read the signs that proudly announce that it has been voted the tackiest pub in Great Britain by Michael Winner and that children and vegetarians aren't welcome. Inside there is dim lighting and candles and the walls are covered with the owner's personal pictures of horses, cars, women, etc and there are piles of cigar boxes and other knickknacks. There is always a hearty fire in the grate. You can arrive by helicopter if you chose, but however you travel bring a large well-stocked wallet, if the reviews are to be believed. South Leigh is half way between Witney and Stanton Harcourt on an unclassified road. Standlake is in the area of flat flood plain between the River thames and the higher ground to the north and is an attractive mixture of cottages and more modern houses and with a couple of pubs. Like many villages, most of Standlake lies off the main road and therefore drivers often miss the most attractive part of the village which is centred on High Street and Church End. The name Standlake means 'stony stream' which reflects the village's low-lying position among a network of rivers and streams. The River Windrush is on the edge of the village, and surrounding the village are numerous gravel pits, many now used for fishing and aquatic sports such as windsurfing. 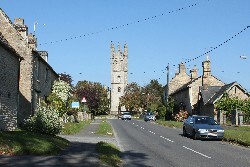 Standlake is on the A415 Witney to Abingdon road, about 5 miles south-east of Witney, and probably just over a mile north of where the River Windrush meets the Thames at Newbridge. In the centre of the pleasant little village of Stanton Harcourt and along the road towards Standlake are several attractive thatched cottages and also Stanton Harcourt Manor House which is well-known for its 14th century medieval kitchens, the most complete surviving medieval kitchens in the country. In the grounds of the manor house is the 15th century Pope's Tower in which the poet Alexander Pope worked on his translation of Homer's Iliad. The land round the village is very flat, being part of the flood plain between the River thames and the higher ground to the north. Near the village are flooded disused gravel pits. Adjacent to the manor house is the cruciform Norman and Early English St. Michael's Church which dates from c. 1130. St. Michael's houses the mediaeval shrine of St Edburg of Bicester and contains the Harcourt Chapel with the monuments of the Harcourt family. Stanton Harcourt is about 4 miles south-east of Witney and about 2 miles south-west of Eynsham, just off the B4449. Stonesfield is a village of Cotswold stone cottages, winding roads and narrow lanes and is set on a hill overlooking the valley of the River Evenlode. The Cotswold stone used for roofing in the Oxfordshire Cotswolds and neighbouring areas was found around Stonesfield and until 1900 Stonesfield was principally a farming and slate mining village. Just to the east of Stonesfield is the site of a Roman villa which was discovered early in the 18th century by a farmer whose plough revealed the remains of a Roman pavement. However aerial archaeology has found no surviving trace of the villa. 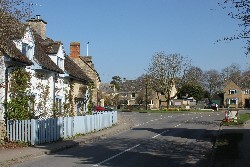 Stonesfield is about half way between the little Oxfordshire towns of Woodstock and Charlbury. 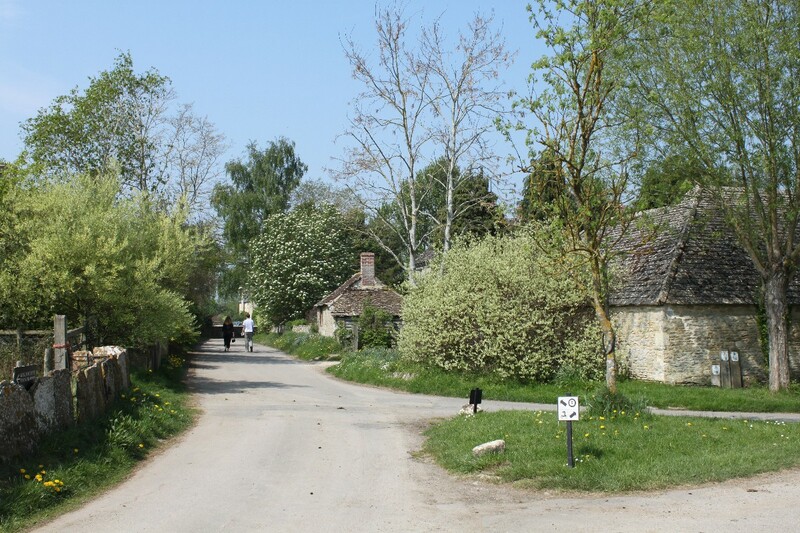 The picturesque little Cotswolds village of Swinbrook (or "pig brook") at one time would have been on the edge of the Wychwood Forest and no doubt swine grazing in the forest would have used the brook for water. The 'brook' is the little Swine Brook which flows down a narrow valley from the Seven Springs a couple of miles to the north, collecting water from a number of other springs on its way down to meet the Windrush at Swinbrook. 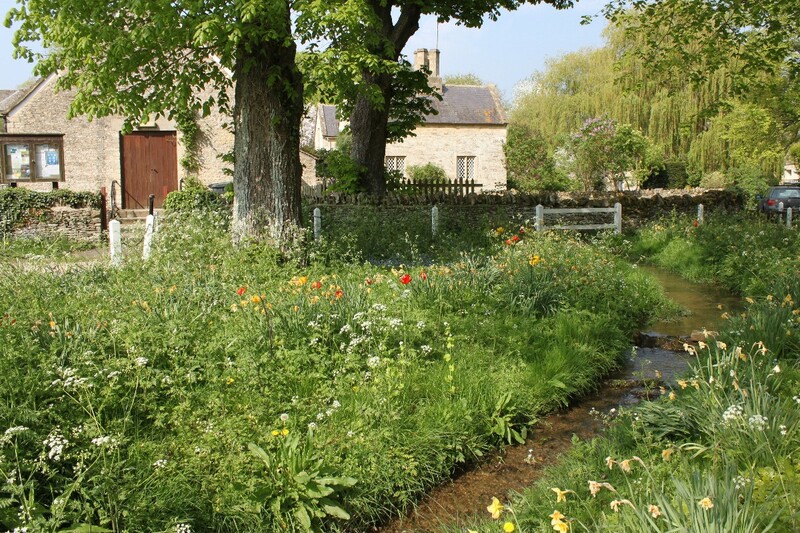 In the centre of the village the Swine Brook passes through a little wooded area which in the spring is pretty with naturalised daffodils and tulips before moving on to join the Windrush. Swinbrook is about 2 miles east of Burford on the north side of the River Windrush away from all main roads and can only be reached along unclassified roads. 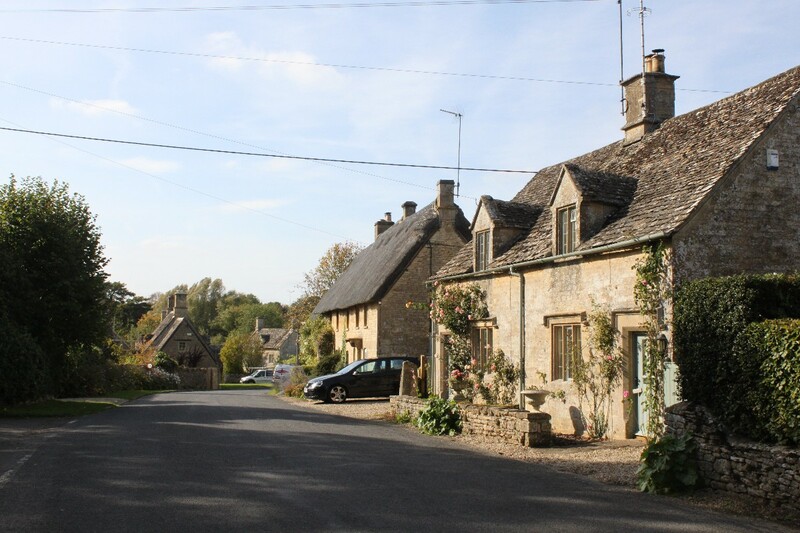 The little village of Taynton is only about a mile away from Oxfordshire's border with Gloucestershire and so typical is this Cotswold stone village that you could be excused for thinking you are deep in the Gloucestershire Cotswolds. The village was renowned for its stone quarries, and Taynton limestone was used in many important buildings throughout the Thames Valley. The stone was quarried in in the locality since at least the 14th century, and was used for many of the older colleges of Oxford University, Windsor Castle, the original pre- 1666 St Paul's Cathedral, and Blenheim Palace. 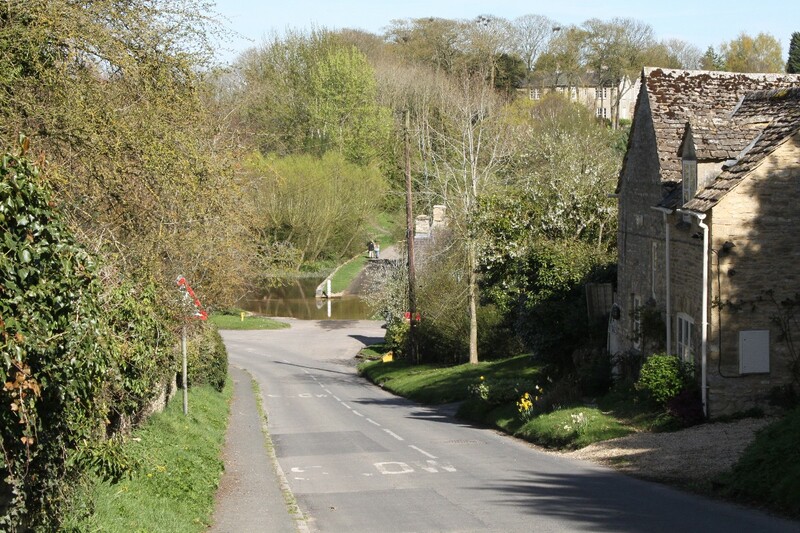 Taynton is about a mile and a half north-west of Burford along the little lane that leads to the Gloucestershire village of Great Barringdon in the pretty Windrush valley. Westwell is a another small village close to the Gloucestershire border in the delightful rolling countryside between Burford and the border. 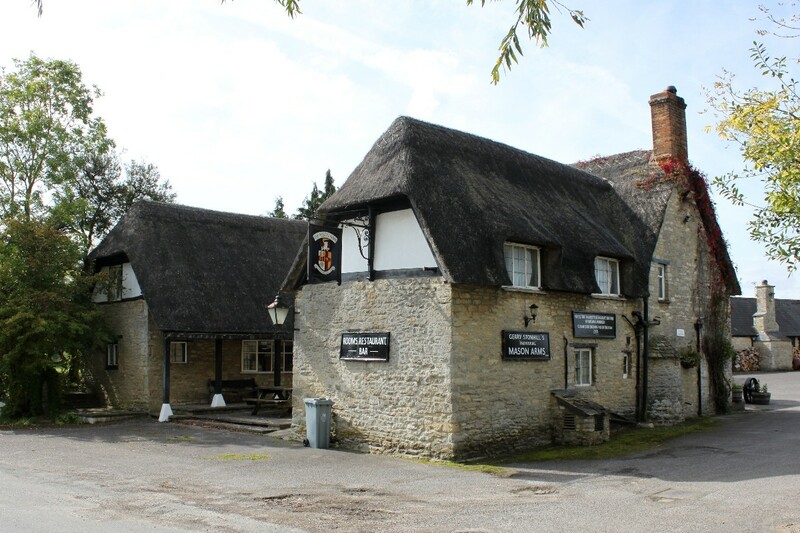 It is in fact only about three quarters of a mile from the border, and is believed to be so named because in the village had the most westerly well in Oxfordshire. In the centre of Westwell is a pond and the unusual war memorial and nearby are the manor house and the parish church of St. Mary on a slight hill overlooking the pond. The war memorial consists only of roughly squared stones with a brass inset on one face which was formerly part of the clock of the Cloth Hall at Ypres. The gardens of Westwell Manor house are open to the public during the summer months. 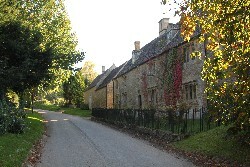 Westwell is along a lane about 2 miles south-west of Burford. 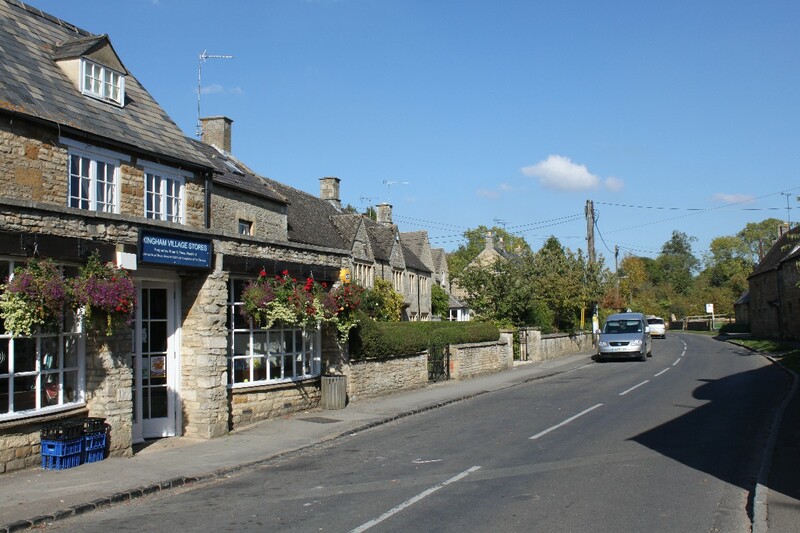 Wootton is quite a large attractive village of narrow streets and stone cottages mainly with stone roofs that are typical of the Cotswolds area. 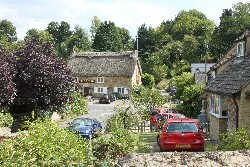 From the bridge over the River Glyme the streets rise steeply up the hill towards the centre of the village. 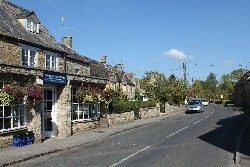 In the centre of the village is a busy village store and nearby is the parish church, St. Mary's. Wootton is about 2 miles north of Woodstock.